Business disruption is experienced on an almost daily basis. Just recently, HERA lost email and file access for several days, which was hugely disruptive. Could that have been avoided? Yes! We should have moved to the Cloud earlier. But we didn’t because we didn’t think our server would have such a dramatic failure. We foresaw the risk and willingly didn’t move fast enough to eliminate it. So, we were disrupted. Lucky for us, the disruption was annoying but not devastating. However, it was a good reminder to move quicker rather than thinking we’ll be safe doing ‘business as usual’ really well. 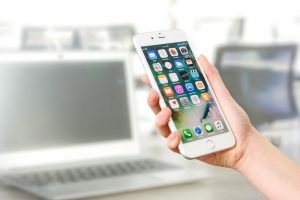 According to Clayton Christensen in his book ‘The Innovators Dilemma,’ – disruptive technologies bring to a market a very different value proposition than had been available previously. 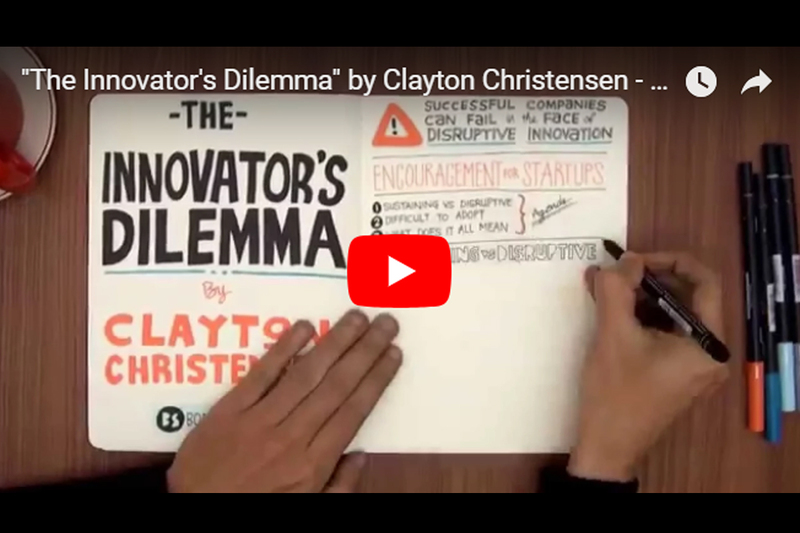 Source: YouTube/Book Video Club: Clayton Christensen 'The Innovators Dilemma' summary. Generally, disruptive technologies under-perform established products in mainstream markets. But they have other features that a few fringe (and generally new) customers value. Products based on disruptive technologies are typically cheaper, simpler, smaller, and frequently, more convenient to use”. This is how disruptive technologies start out but then they start to improve technology-wise and start grabbing market share from incumbent technologies. A classic example is the history of the camera. Rudimentary cameras existed that were the size of a room. Source: Wikimedia Commons, Janez Novak: Old studio camera. Studio cameras evolved using gelatin dry plates. These were still used only by professionals and usually involved a family outing and themed dress-ups for family portraits. Kodak ‘Brownie’ Flash B camera. 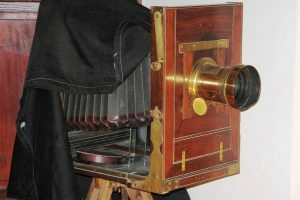 Kodak introduced the box Brownie film camera. These were low cost and portable but didn’t have the film quality of studio cameras. 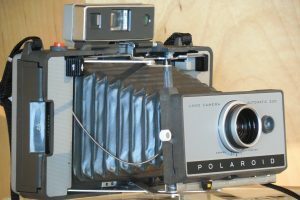 Polaroid introduced the first “instant” camera. 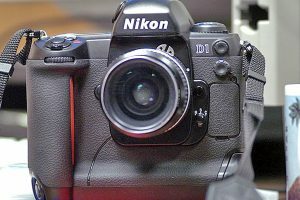 The first true digital cameras were developed. These offered digital storage and ‘at home’ editing capability. They coincided with the emergence of social media and were complementary technologies. And of course now, we have the ubiquitous iPhone! The thing about the camera as a case study is that it shows the large-scale consequences of disruption. Kodak is a classic case of a market leading company not being swift enough to respond to disruption. 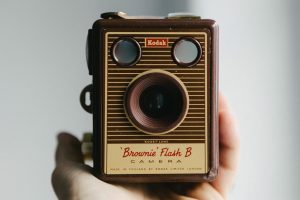 I’ve even heard there was an employee of Kodak that put the idea of a digital camera to their Executive and was shot-down (but I don’t know if that is urban legend or not). I’ve visited the old Kodak facilities just out of Boston in the US. It’s been taken over by a photovoltaics company – Konarka, who were using the reel to reel facilities Kodak left behind. The other thing to note from the case study of the camera is that often-times the incumbents dismissed the new technologies on the basis that it wasn’t as technically sophisticated as theirs. For example, the iPhone camera wasn’t initially as good as mainstream digital cameras. Yet, it offered other functionality such as lower-cost and portability that allowed it to capture market share. Eventually growing their technology to eventually become superior. It’s in this way that the disruptor becomes the leader. The incumbent often thinks their market share is safe because the disruptor’s technology is inferior. A move that let’s the disruptor grab parts of the market that aren’t as lucrative to them. Over time, the disruptor starts to gain market share as its product performance and market acceptance broadens. An innovative product is introduced to the market. Target market isn’t existing customers. Target is new customers with new performance criteria, not established needs. Offers ease-of-use or low cost etc. Generally not technically competitive at market entry. Improvements made over time mean that it eventually starts to be attractive to the original existing customers. “What disrupts incumbent firms is the conflict between the business model already established for the existing technology and that which may be required to exploit the emerging disruptive technology” (Clayton Christensen). If you have a conservative Executive, then this conflict is going to prove very uncomfortable. If you want to be your own disruptor and not be disrupted by a third party, you’ll have to accept that there will be some losses. It may even mean accepting cannibalisation of your top-selling product in order to grow your own disrupting product. It takes a very brave Innovation Manager to pitch that idea to their Executive! Christensen, found that the firms that led in launching disruptive products together logged a cumulative total of $62 billion dollars in revenues between 1976 and 1994. Those that followed into the markets later, logged only $3.3 billion in total revenue. The difference in revenues per firm was even more striking. The firms that followed late into the markets enabled by disruptive technology, generate an average cumulative total of $64.5 million per firm. On average those that led in disruptive technology generated $1.9 billion in revenues. 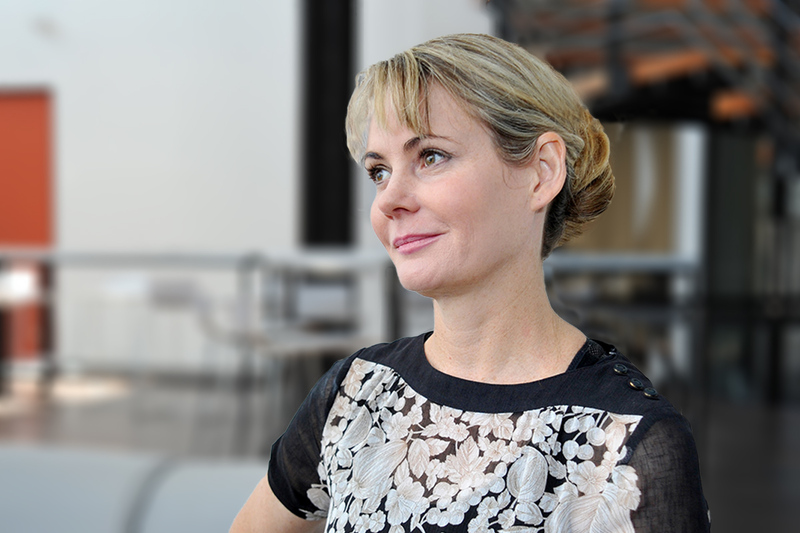 Early commercial learnings need to feed into the R&D loop before large-scale investment. Because much less can be known about what markets need or how large they can become, plans must serve a very different purpose. There must be plans for learning rather than plans for implementation. Project and business plans would mirror those priorities. So that key pieces of information would be created, or important uncertainties resolved, before expensive commitments of capital, time and money were required. You have to be flexible as plans won’t be stable or informed. In general, for sustaining technologies, plans must be made before action is taken, forecasts can be accurate, and customer inputs can be reasonably reliable. Careful planning, followed by aggressive execution, is the right formula for success in sustaining technology. However, in disruptive situations, action must be taken before careful plans are made. Brainstorm to identify potential disruptions. Keep a watching brief on developments that may lead to disruption. These should also include political watching briefs as policy and legislative changes can also be disruptive. In product development plans/decision-making processes, include an analysis of the impacts of disruptive technologies. Note that exploitation of disruptive technologies will require a different approach than the “norm” and may require a completely unfamiliar (and therefore hard to gain support for) business model. If you are a decision-maker or champion, advocate for staged approaches where initial ventures (“failures”??) are considered learnings and are managed in a way that there is still resourcing available to apply those learnings. Focus on getting support from your leadership team to act nimbly and promptly to disruptive innovation (threats or opportunities). To help cement this understanding we’re planning to run a disruption seminar later in the year. Please let us know if you would like to join the waiting list by contacting our General Manager Industry Development Dr Boaz Habib.